Our unfinished real wood veneers are the perfect option for when you can’t quite find one of our wood laminate options that matches your current wood color. All of our wood veneers come unfinished. Meaning it is the raw wood color and will need to be stained once you receive it. This will ensure it perfectly matches your existing wood color. 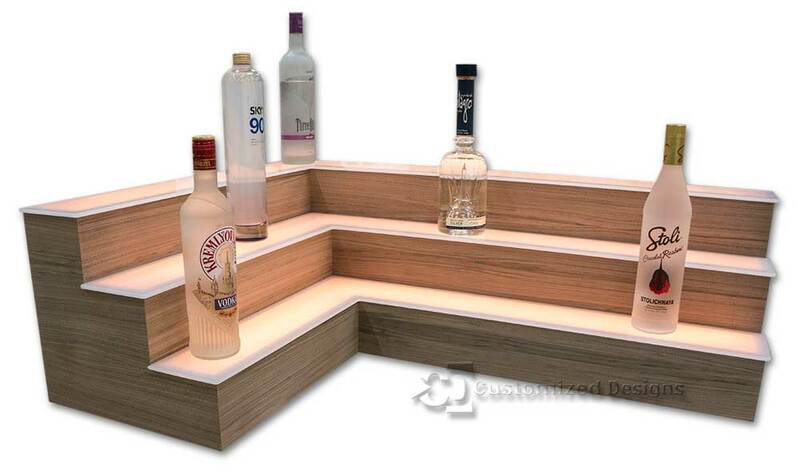 For lighted bar shelves with wood veneers, we send the shelving unattached which makes it easier to stain the display. Once the wood is finished, you can install the shelves the same way we do at our facility. Due to the nature of real wood, the grain patterns may differ slightly from the pictures displayed on our website and sometimes even differ from display to display.